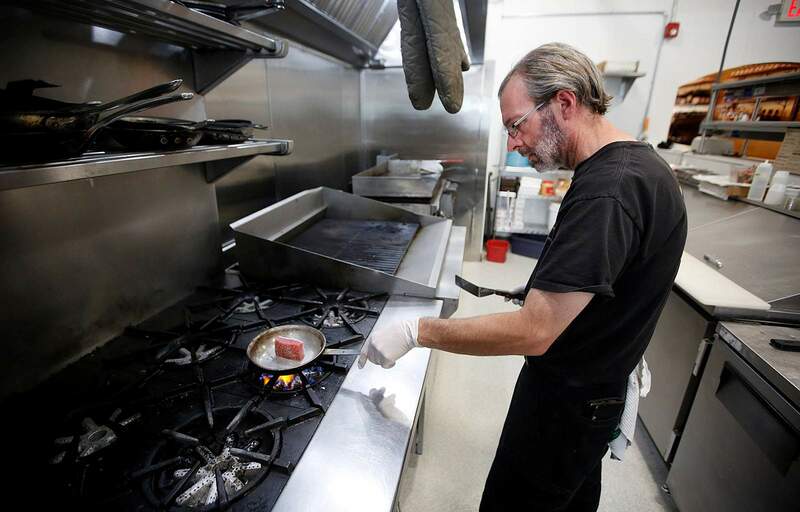 The Yellow Carrot opened in a new location on north Main Avenue and 32nd Street in late July. 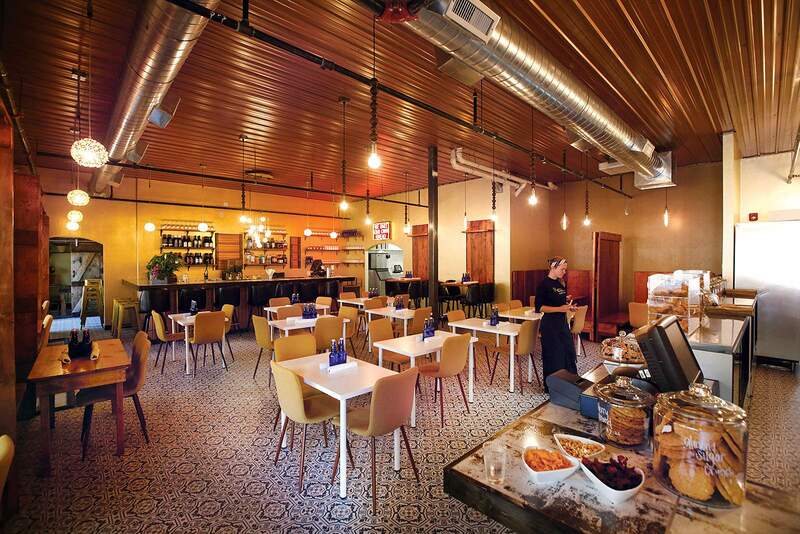 The restaurant will serve breakfast, lunch and dinner in its new space. The Yellow Carrot will serve 81301 Coffee and pastries all day at its new location at 3206 north Main Ave.
Luis Ponce makes and decorates cupcakes at The Yellow Carrot’s new location at 3206 north Main Ave. The location sports four kitchens, one specifically to serve the bakery. The Yellow Carrot has seating for 60 at its new location at 3206 north Main Ave.
Ric Bowerman cooks Ahi tuna at The Yellow Carrot’s new location at 3206 north Main Ave. The restaurant has expanded and will serve breakfast, lunch and dinner. 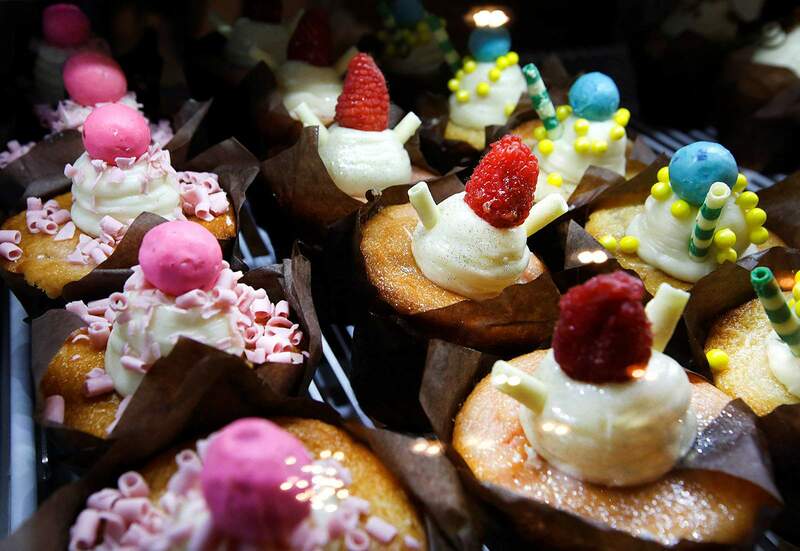 The Yellow Carrot serves cupcakes and cookies all day at its new location at 3206 north Main Ave. 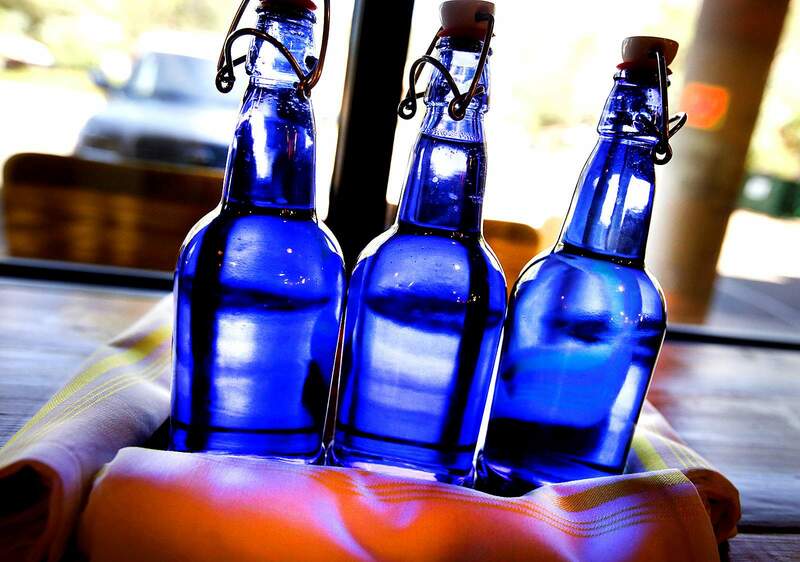 Colorful bottles of water sit on each table in the dining area at the Yellow Carrot’s new location at 3206 north Main Ave. 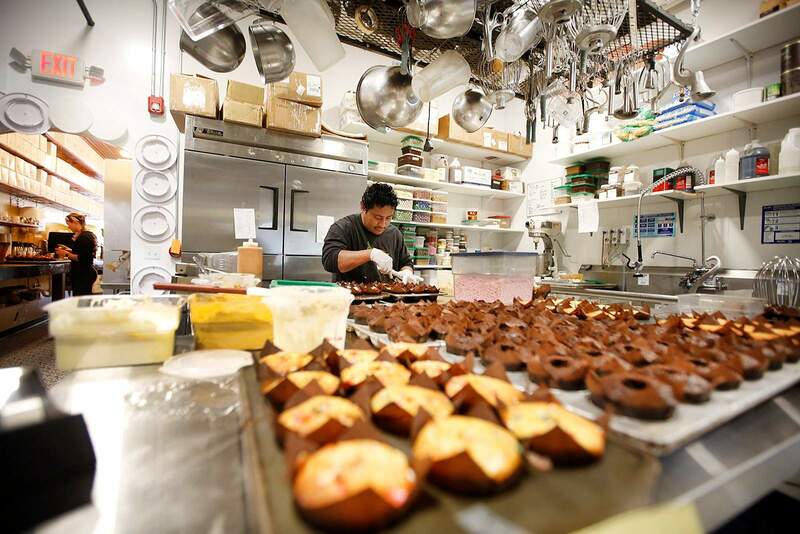 The Yellow Carrot, a bakery, restaurant and catering business on north Main Avenue, has long lured customers in with cupcakes, chips, breakfast burritos and take-and-bake items. 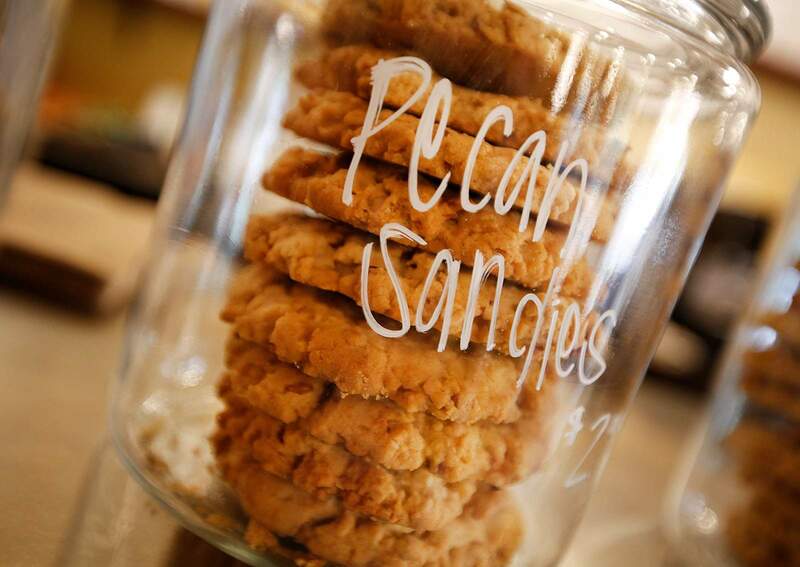 Its new location a few blocks north at 3206 north Main Ave. may have patrons lingering longer to indulge in breakfast, lunch, dinner or perhaps coffee and pastries. For 10 years, The Yellow Carrot was squeezed in between 81301 Coffee Roasters and Dunn Deal Resale in a 1,300-square-foot space. 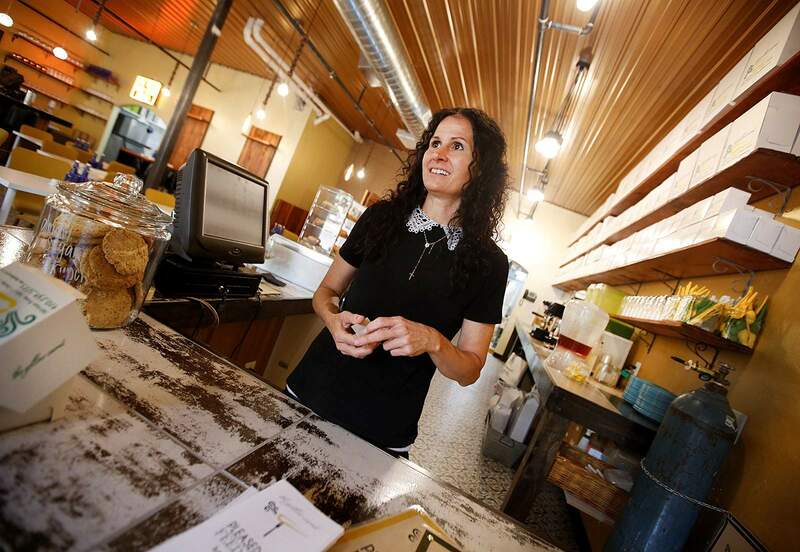 After seven months of construction, the business opened in late July in a 7,200-square-foot facility with seating for 60, owner Sari Seedorf said. It is one of three restaurant locations she owns in the area. In early August, Seedorf is planning the grand opening of her 200-acre event space in the Hesperus Mountains on County Road 136, called Evelyn Jean 1918. The space is named in honor of her grandmother, Evelyn, and great aunt, Ethel Jean, twins who were born in 1918. A caterer and wedding planner in town, Seedorf is constantly advising customers on event spaces, and three years ago, she bought the property on County Road 136 because she has always wanted her own venue. It’s been a growth year for Seedorf and she admits she is not one satisfied with a plateau in life. The self-taught chef got into the restaurant business about 18 years ago after studying Spanish and international relations in college. “I just got into food and I loved it,” she said. For breakfast starting at 7 a.m., The Yellow Carrot offers light options such as toast and jam for $3, and lavender beet yogurt made with blackberries, blueberries and butter rum granola for $7. For those interested in a fuller meal, there are lots of options, such as green chili cheddar quiche, breakfast burritos, shrimp and biscuits, and avocado toast, which comes with two fried eggs, tomato, cheddar and honey sriracha among many other items. The lunch menu features soups, salads, and mac and cheese ranging from $7 to $15. The range of sandwiches includes a classic burger and BLT as well as curry chicken salad and smoked salmon. The restaurant also has a wide variety of grilled cheese options, including a tater tot jalapeño bacon grilled cheese and a peanut butter and banana jam grilled cheese. Many of the salads feature protein such as the tuna ranchero and the black and blue steak salad, made with blue cheese, avocado and Gorgonzola balsamic vinaigrette. The Yellow Carrot’s dinner options are likely to appeal to a broad spectrum of tastes, with entrées such as Mongolian pork tenderloin, prosciutto wrapped sea scallops, shrimp and grits, and shepherd’s pie. Entrees are priced between $13 and $29. The new location also features a coffee bar, which will serve brew from 81301 Coffee, and a full-service bar with wine, beer and liquor. As part of the expansion, Seedorf hired about 20 people, bringing her staff up to about 30. She also installed four new kitchens to provide dedicated space for the bakery, the restaurant, catering and space to start producing her popular sweet potato and beet chips for wholesale buyers. She expects to ramp up wholesale production in the coming months. The event planning and catering side of the business also gained much-needed storage space. For nearly nine years, she had leased nine storage units for tables, chairs, linens, cutlery and other party necessities. The business expects to work 50 different events in August. Thus far, the new event space Ethel Jean 1918 has booked about five gatherings. Seedorf has put in restrooms and can seat up to 300 people in a tented space on the property, she said. Eventually, she would like to have seven to nine structures that can be used as spaces for events, a bakery and a floral shop. Next year, she plans to put in a garden on the property to supply her restaurants. She is also planning to raise animals to supply a delicatessen and a creamery. “It’s going to be a little village,” she said.